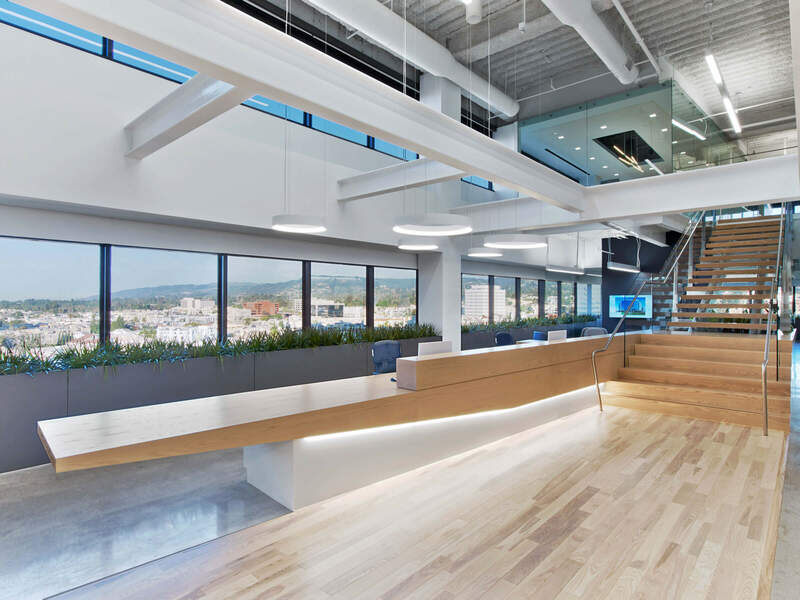 Hudson Pacific Properties needed a headquarters that would embody the same design-forward approach they provide their clients while reflecting their unique culture within the real estate industry. 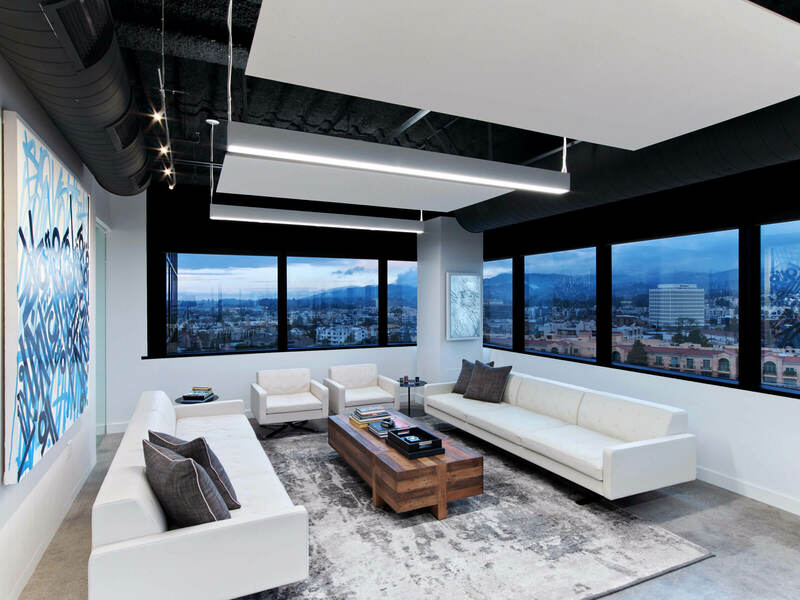 The design team spent extensive time developing an understanding of HPP’s vision, their core values, and how they work differently than other real estate firms. They believe that coming to work shouldn’t be a chore or a means to an end. It should be a destination and an outlet for developing ideas. 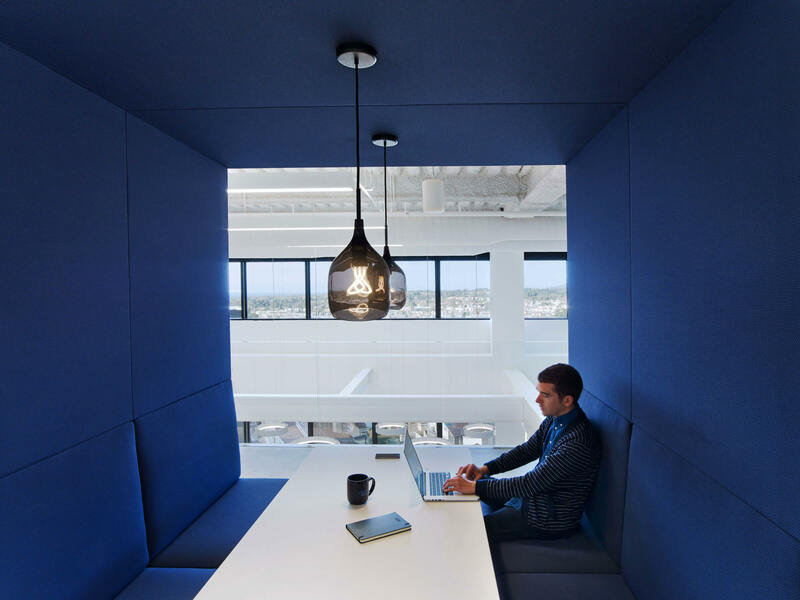 The firm prides itself on creating an approachable and open work environment, allowing for creative solutions to emerge from unlikely places. 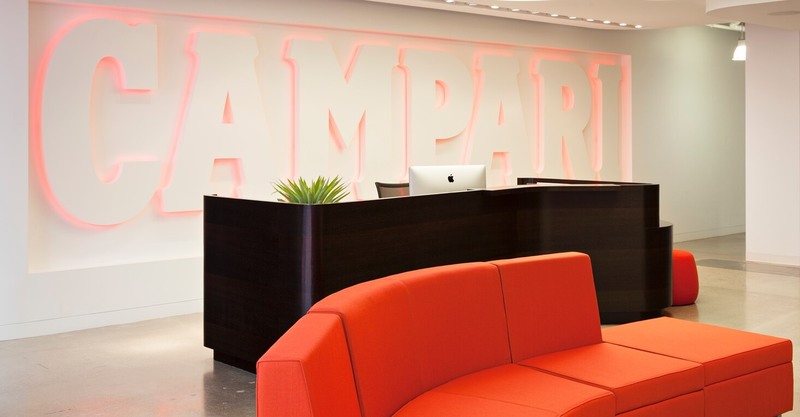 In this way, they behave more like a startup than a real estate firm. 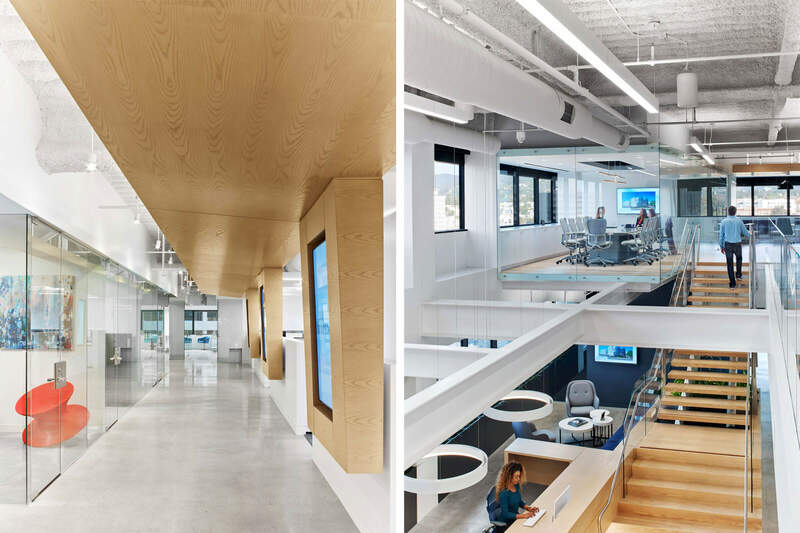 Their new headquarters was designed to express their collaborative, creative, transparent, and tailored culture. 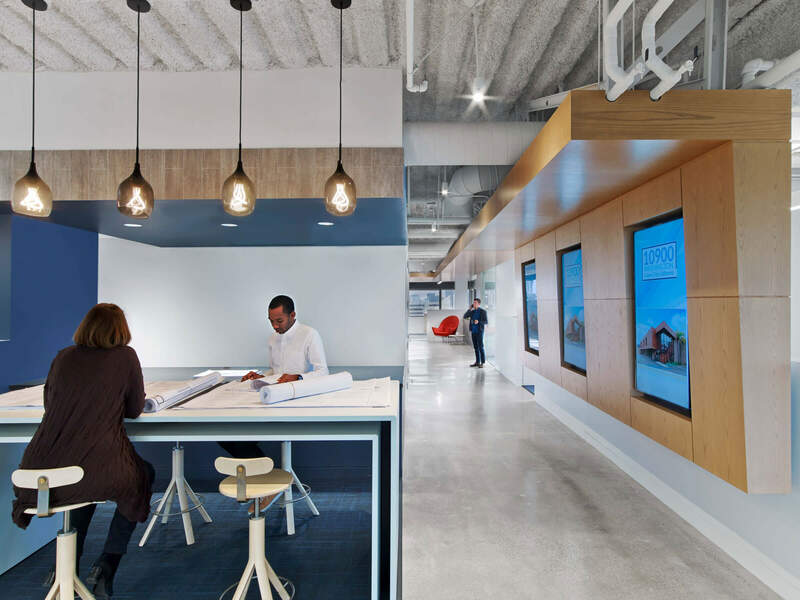 The team developed a ribbon concept—a wooden band of light-colored flooring, millwork, and ceiling that weaves throughout the space to guide visitors and to digitally showcase HPP’s properties. 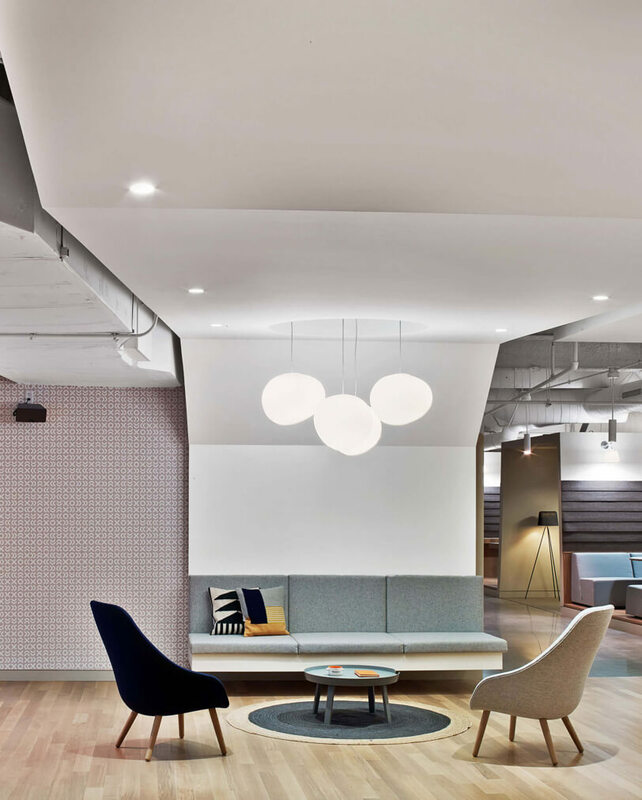 The ribbon greets you as you step out of the elevator, incorporating the reception desk, signage, banquette, and adjoining stair that leads you to the conference center and offices on the second floor. 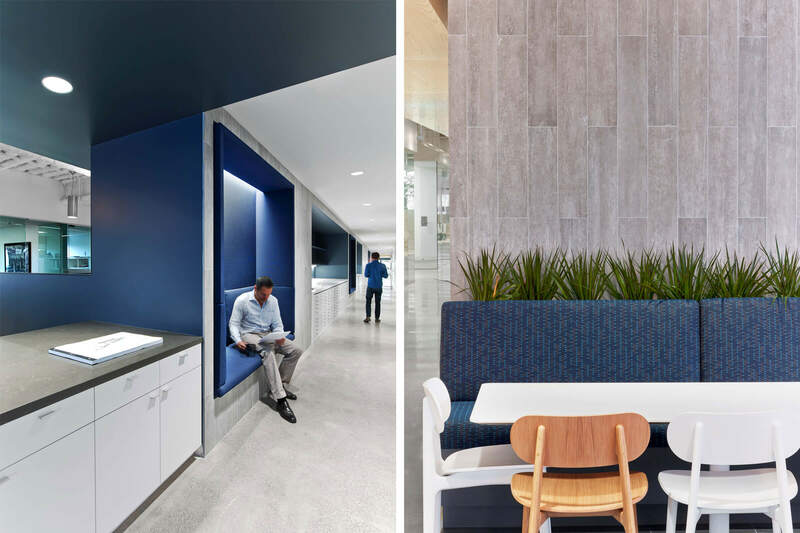 While creating a visual path through communal areas, the ribbon also incorporates video displays that share videos—helping to tell HPP’s story and showcasing the breadth of their work. 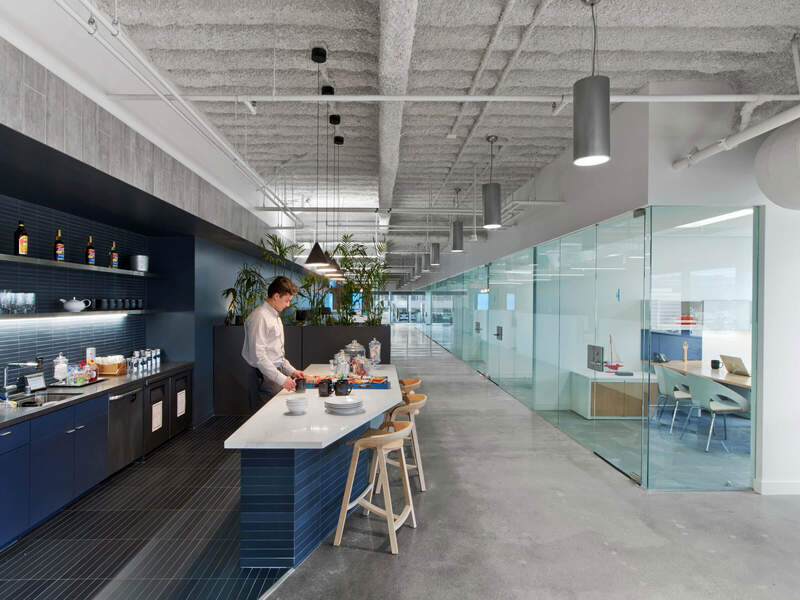 In contrast to the materials of the ribbon, polished concrete floors add a sense of rawness while the company’s blue highlights collaborative environments.